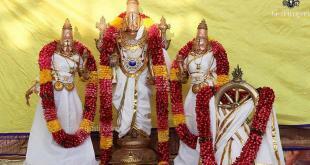 Tirupati Temple Timings, Opening and Closing, Darshan and Seva details. 9 10:00 am Senior Citizen Darshan/ Physically Challenged Darshan/ Patients Dashan. Tickets have to be availed by 7:00 am. The above-mentioned Tirupati Temple Timings might change on special days such as Brahmotsavam days, Rathasapthami, Vaikunta Ekadasi, Vaikunta Dwadasi, Ugadi etc. 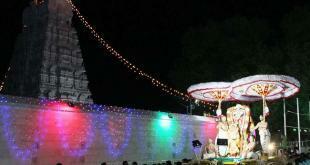 On Brahmotsavam days, Sarva Darshan extends up to 1:30 am as Arjitha Sevas will not be performed. Darshan tickets can be booked 3 months in advance for Balaji temple Darshan. Temple will be crowded on all days as it is estimated that 65,000 to 80,000 on Normal days and 1.2 Lacs and above during weekends. 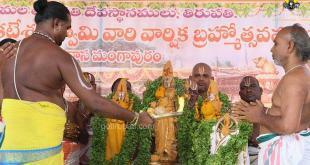 Estimated that 2+ Lacs devotees visit Tirupati temple on Brahmotsavam Garuda Seva day. For more details on Tirupati Temple Timings, Please call @ +91 93 93 93 9150.